FYI: This site receives a small amount in commissions from affiliate links and third-party advertising. Please note: At this time I am only able to ship hard goods to Australia & New Zealand. However, electronic or downloadable goods are available world wide. Understanding the different types of fleece wool is important when you have decided to learn how to spin. Knowing what to look for is a good idea before you race out to buy your first fleece! 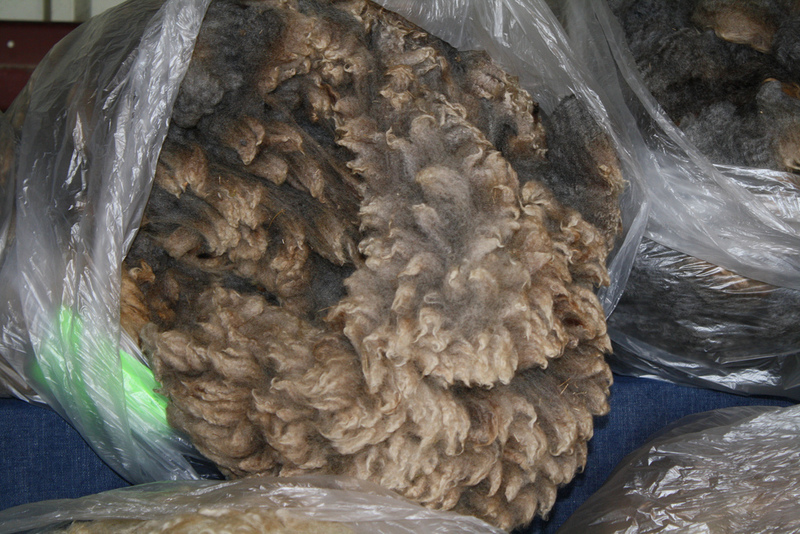 Some fleeces are easier to spin than others, some are suited to fine spinning and others to thicker heavier yarn. As a novice, it will be hard to tell which type of fleece would be the best choice for your first efforts at spinning. Your best bet is to buy small amounts of the type of fleece you want to spin, say 200 grams, and do a bit of experimenting. If you are happy with the results, you can then buy a whole fleece. As a bit of a guide, I have listed the most common breeds used for spinning below. As a beginner, the types of fleece wool that you are looking for is one that is easy to handle and has a long staple. 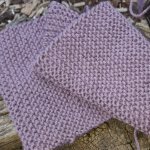 These types of wool are just about perfect for a learner. A Border Leicester fleece has a reasonable long staple at around 17.5 cm. The staples are firm with a spiral crimp and produce a medium to thick yarn. As a learner (way back when) I used this type of fleece to spin and knit quite a few men's Aran and fair isle jumpers. My first attempts were passable, but as my technique improved I was able to spin a reasonably light and almost fluffy yarn that was perfect for outdoor jumpers for the men in my family. The staples of a Lincoln fleece are very long at around 23cm. Like the Border Leicester, the Lincoln has a firm staple with a spiral crimp and tend to be a bit yellow in color. The yarn produced is usually quite thick and if lightly spun and plied (less twist) the resulting yarn can be quite fluffy and will resemble the look (but not the feel) of mohair. Personally, although I found this type of fleece very easy to spin, I did not especially enjoy spinning with this one. The wool felt a bit harsh to me. Not surprising really, seeing as this type of wool is usually used to make things like floor rugs or wall hangings, rather than for making garments. The Romney produces a fleece with a reasonably long staple at around 14.5cm. The staples are less firm than some others and more open with an oval tip. The yarn produced from this type of fleece tends to be easy to spin and of a medium thickness. This type of fleece produces a general purpose yarn that can be used for knitted, crocheted garments as well as upholstery, wall hangings and furnishings. These types of wool are perhaps more challenging than the ones mentioned above, and may require more patience but are still within the range of a less experienced spinner. The fleece from a Corriedale is moderately soft with a compact even crimp. The staple length is usually around 11cm long and is firm with a flat tip. The yarn produced from this type of fleece is fine to medium and somewhat elastic. But you need to treat it carefully as it will bulk up when it is washed and is prone to felting. Depending on the thickness of your spinning, the yarn can be used for baby wear, woven, knitted or crocheted garments. This type of wool is one of my favourites for producing light soft wool suitable for shawls, baby wear or lightweight women's wear. If it is spun slightly thicker than usual, it makes a strong hard wearing but light yarn perfect for Aran knitting. The staple length is around 10 cm and spins like a dream for an experienced spinner. Types of Fleece Wool That Are Definitely Not for Beginners! The types of wool in this category either have a very short staple length, making spinning difficult or require a special spinning technique to produce a good quality yarn. Merino is a soft white wool with close tight crimping and a silky feel. Staples are usually around 7.5cm long which is a bit short for anyone but an experienced spinner. Although I personally think Merino is a joy to spin, and you can achieve a very fine yarn with this type of fleece, it is definitely not for beginners. To successful spin merino, you need to treadle slowly with a high degree of twist in your yarn. It takes a considerate amount of practice to get the tension right in very fine yarn and in my experience it takes much longer to fill a bobbin than other coarser fleeces. The fine yarn produced is most often used for fine garments like evening shawls, and baby wear. Southdown fleeces are fine and soft with a very short staple length (approx. 5.0 cm), making it a difficult wool for beginners to spin. When spun this type of wool produces a spongy thick to medium yarn and is suitable for making light-weight knitted or crocheted garments. The yarn is also crease resistant. Have your say about what you just read! Leave a comment in the box below. This comment will be shared on your page and be visible to the users of this website. PLEASE NOTE: I will not be notified of any comments unless you tag me or my page in your comments.